Firebrand’s Free Training For Life competition offers you the chance to win accelerated training completely free, for the rest of your life. There are no restrictions. This means you can choose from Firebrand’s portfolio of 200+ accelerated courses, which includes names like Microsoft, Cisco, CompTIA and (ISC)2. Winning Free Training For Life has the potential to help you get your dream job, so we’ve mapped out the five hottest jobs right now and selected the certifications you need to secure them. Security is one of the hottest topics out there at the moment, partly due to the staggering amount of high-profile cyber-attacks that have cost names like, EBay, Sony and most recently TalkTalk, millions. Chief Information Security Officer is one of the top jobs in the field. The average advertised salary is £110,000 according to itjobswatch.co.uk and they are now in high demand. CISOs are responsible for developing and implementing security policies and the company’s security architecture. To get on the path to becoming a Chief Information Security Officer, you could start with the CompTIA A+ or Network+. The A+ and Network+ will teach you the fundamentals in PC hardware, security and networking that will be highly useful in the future. (ISC)2’s SSCP is also a great value certification that you can do after a year’s IT security experience. This will begin to teach you advanced skills like cryptography, risk, response and recovery, and dealing with malicious code. This will put you in a great position to become a CISO in the future. 3-5 years into your career, ISACA’s CISA would be perfect to give you IS audit and control skills to ensure the business’s security procedures can protect its information assets. You could follow up with the CISM to get skills like risk and incident management and program development. This will help you move into information security management, and eventually the CISO role. Many see (ISC)2’s CISSP as the best IT security certification you can aim for, and it will certainly help you get into a CISO role. The CISSP will help you master both the management and technical aspects of the field, giving you security engineering, communication and network security skills. There are also extensions to the CISSP that offer in-depth skills if you have a specific need for them. The CISSP-ISSAP includes further detail in areas like access control systems and security architecture analysis. Also, the CISSP-ISSEP can teach you further skills in technical management and risk management. These can help you master your CISO role. The cloud technology market is growing rapidly. Because of this, demand for IT professionals with cloud skills has never been higher. Cloud Infrastructure Architect is one of the most sought after positions. The role involves migrating and integrating applications to the cloud, and managing cloud servers. The average advertised salary according to itjobswatch.co.uk is £70,000. Typically, a business will use one established cloud provider which could restrict the training you’ll need. The restriction-less Free Training For Life however, would give you access to the wide range of cloud certifications, like the following, that teach you the skills to become a Cloud Infrastructure Architect. The Microsoft Specialist: Implementing Microsoft Azure Infrastructure Solutions certification would give you the skills to migrate existing on-premises infrastructure to Azure. You’d also learn to manage the systems in the future. The Microsoft MCSA: Windows Server 2012 R2 certification will give you the skills to manage and deploy Windows Server 2012 and components like active directory domain services and AD FS. It also offers cloud skills that will help you become a Cloud Infrastructure Architect. This is because the system includes cloud technology and is so widely used. The Microsoft MCSE: Private Cloud will teach you how to build your Microsoft private cloud, very useful in a Cloud Infrastructure Architect role. It covers skills like deploying private cloud services, problem management, optimising a cloud infrastructure and configuring a self-service and multi-tenant private cloud. Another option is VMware’s vSphere [V6] certification which includes elements of cloud technology. This will teach you skills in virtual machine management, configuring and managing virtual storage and networks, and installing and maintaining vSphere. Certified Ethical Hackers are those who are able to counteract and prevent the threat that malicious hackers pose to businesses. The increasing danger that these malicious hackers are posing, is making the demand for Certified Ethical Hackers soar. According to itjobswatch.co.uk the average advertised salary for an ethical hacker is £55,000. To begin on the path to a Certified Ethical Hacker role, you need systems and networking foundations. The Microsoft MTA Networking, Security & Windows Server Administration, CompTIA A+ or Network+ would all be great certifications to get those skills. The MTA does not cover the same hardware topics as the A+ or Network+, but does offer more content about server administration and will lean towards Microsoft technology. Following on, the Security+ can give you more detailed security skills, covering topics like compliance and operational security, access control and identity management, and cryptography. Similarly, Cisco’s CCNA will boost your skills in the networking area. This will teach you skills in areas like LAN switching technologies, IP addressing and routing technologies, and network device security. After two years’ IT experience, you should be ready to sit your Certified Ethical Hacker course. This will give you the knowledge to fill an ethical hacking role. You’ll learn advanced skills in areas like Trojans and backdoors, viruses and worms, session hijacking and SQL interjection. These are necessary and vital skills in the arsenal of an ethical hacker, so you can comprehensively check the security of a business and cover gaps that could be maliciously exploited. The Computer Hacking Forensics Investigator is a further certification that can boost your skills in the forensics process, improving your skills in responding to an attack. This could really make you stand out in the ethical hacking field. Every modern business needs a website, meaning web developers with skills to create and maintain them, are in high demand. According to itjobswatch.co.uk, the average salary for a Web Developer is £37,500. To give yourself the fundamental web development skills, an MTA in Software Development Fundamentals or HTML5 App Development Fundamentals would be suitable. You’ll learn core programming and general software development skills that’ll be useful in any web development role. 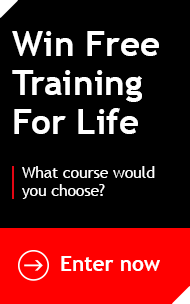 Free Training For Life has the potential to take your career into project management. The skills in this field are versatile and useful in many areas of business. According to itjobswatch.co.uk, Project Managers have an average salary of £52,500. You should begin with the PRINCE2 Foundation and Practitioner. It provides a framework for managing projects that is the most popular of its kind in UK. It teaches you how to structure and manage your projects, including planning and organisation techniques. It also covers potential changes and risks to your projects. Once you meet the prerequisites, you can progress onto PMI’s PMP. This covers more detailed planning and tight regulation of your projects, helping you improve the success rate of your projects. You’ll learn to regulate budgets, communications, quality management and more. Learning to apply the agile methodology will also help you become a more successful project manager. The PRINCE2 Agile will teach you to combine PRINCE2 and agile in your projects. You’ll learn agile fundamentals and how to tailor the management process around those fundamentals. This will help you react more effectively to unpredictable changes. Free Training For Life has no restrictions, meaning you can take your career in any direction you choose. For the rest of your life, stay at the cutting edge in your career by gaining high-quality skills and certifications that can open doors to places you’ve never considered. You can sit courses from vendors such as (ISC)2, APMG, AXELOS, CISCO, CompTIA, EC-Council, ISACA, Linux, Microsoft, The Open Group and many more. Free Training For Life lets you dream big and accelerate your career with any course you choose. You can enter Free Training For Life here and see Firebrand’s full portfolio of accelerated courses here.